Sunday 7 July- September – Oaks car park is closed to accommodate coaches and minibuses. This is to support Enrolment Management Services, the Conference Office and other departments with conferences and school visits. The coach and minibus park has been relocated from Giles Lane car park while works take place. This entry was posted in News and tagged car park disruption on July 9, 2018 by Miriam Sandiford. Wednesday 27 June- The car parks will be closed to permit holders until 10.30 to assist with the Kent School Games, as requested by Kent Sport. Wednesday 27 June- Friday 29 June- Approximately 25 bays will be reserved each day for performances, as requested by the Gulbenkian. The number of reserved bays will be adjusted each day as appropriate. Present (ongoing) – The section of Giles Lane car park behind Woolf College is being used as a coach and minibus park to support Enrolment Management Services, the Conference Office and other departments with conferences and school visits. Early July (expected start date 8 July) – September- Giles Lane car park will be closed over the summer for essential maintenance and improvement works to take place. This closure has been requested by the Estates Department. For more information see our separate story here. 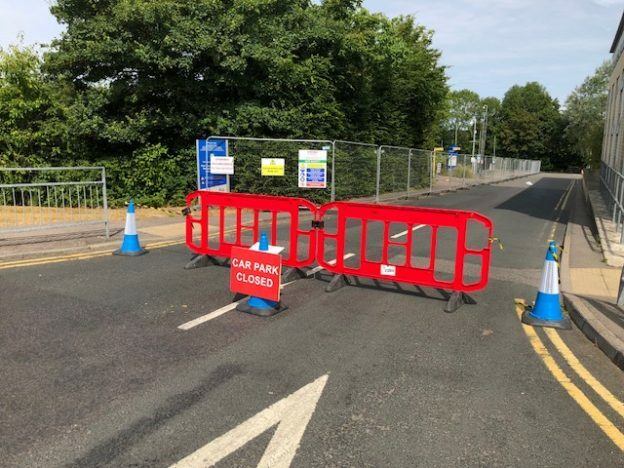 This entry was posted in News and tagged car park disruption on June 25, 2018 by Miriam Sandiford. 170 spaces will be reserved in Giles Lane car park for Kent Business School’s “Shaping Kent’s Future” event. This is a high profile event for the University. 31 spaces will be reserved in Giles Lane car park, as requested by Enrolment Management Services. Applicant Days are essential recruitment events for the University. Please refer to our transport event calendar in between newsletters to keep up to date. This entry was posted in News and tagged car park disruption, parking on January 11, 2018 by Miriam Sandiford. The following car park disruptions affect Canterbury campus. There are no known disruptions at Medway campus at this time. On Saturday Giles Lane blue zone will be closed for the Gulbenkian outdoor screening. Please ensure your car is removed from Giles Lane car park by 22.00 Friday 27 October. The car park will be reopened on Sunday. The blue zone and pay and display Sports Centre car parks will be closed for exhibitors at the Careers Fair, as requested by the Careers and Employability Service. Please ensure your car is removed from the Sports Centre car park by 22.00 Monday 30 October. The car park will be reopened on Wednesday. Part of the KBS car park will be closed while a compound is set up, as requested by Estates. The compound will aid the Kent Business School refurbishment which commences 6 November until April time. 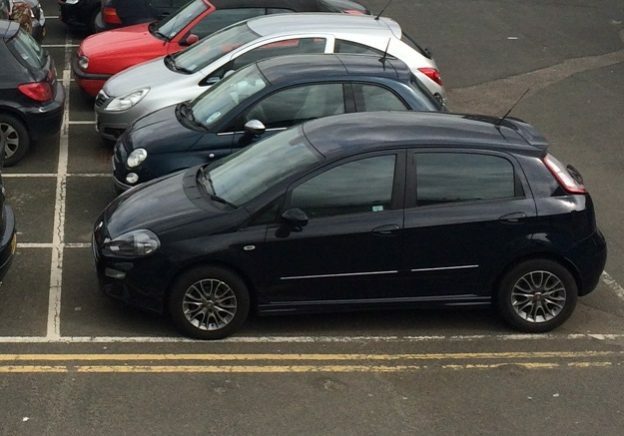 This is approximately 16 spaces. Check the transport events calendar for any further disruptions until the next newsletter email is sent out. This entry was posted in News and tagged car park disruption, parking on October 27, 2017 by Miriam Sandiford. The new virtual parking permit system launched at the end of September. All staff and eligible students are able to apply for a virtual parking permit. Parking permits are monitored using hand held automatic number plate recognition (ANPR) technology, making it more efficient to manage unauthorised and incorrect parking. Chatham Historic Dockyard Trust now have the ability to monitor virtual permits, which will enable them to identify (in real time) if a vehicle has a valid permit. Chatham Historic Dockyard Trust will charge you for parking on arrival if you do not have a valid University of Kent permit. Thank you for your patience with us while we transition to using the new parking system. We hope the new system and changes to enforcement will improve parking on campus. Visit the transport FAQs for more information about parking system. Medway campus car parks will be very busy due to the Open Day. A traffic management plan is in place. Christ Church University also have their Medway Open Day on the same day. Part of the Pavilion car park will be closed for Kent District School Mini Soccer Tournament, as requested by Kent Sport. The Drill Hall car park will be partly closed for exhibitors at the Employability fair, as requested by the Careers and Employability Service. If the Drill Hall car park is full, permit holders can park in the Mast Pond car park at the Historic Dockyard. Canterbury campus car parks will be very busy due to the Open Day. A traffic management plan is in place. This entry was posted in News and tagged car park disruption, parking on October 12, 2017 by Miriam Sandiford.